Surely, floor installation isn’t something you do too often, but the fact is that it doesn’t have to be an expensive investment. 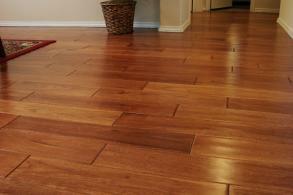 You can get any kind of flooring installed at a very affordable rate. How? 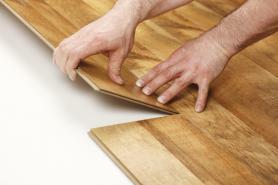 By asking Prosco to help you out by putting you through the best flooring company in your area! Yours is just to give us a call and our phone agents will connect you to the right company for the job. By “right”, we mean a flooring company from your area whose team has the skills and the tools to install any kind of floor you like at very affordable rates. The reason why all of the flooring services are so affordable is that all of the companies work with are real experts in their job. What this means is that they can do more work in less time, so there is no need to overprice their services. Furthermore, they get their materials at wholesale prices, so they’re able to offer all kinds of flooring services at reasonable rates. That said, if you’re looking someone to buy flooring material from, Prosco is who you should call. Not only can we help you with finding the best company for flooring installation but we can also connect you to the company that sells the flooring material. This way, you will be able to get all the work done very quickly and without ruining your budget. The best thing is that Prosco does business with all kinds of flooring companies, so we will be able to find the perfect one for the job you need. For example, if you want a tile flooring installed in your bathroom, we will not connect you to experts for hardwood installation. Instead, we will put you through a company that specializes in tile flooring installation. Apart from installing any kind of floors in your home or office, the companies we work with can also help with many other things. If you need old tile flooring removed or you want a sanding job to be done on your hardwood floors, just call Prosco and we’ll find someone to take care of it. The best thing about Prosco is that we can help you with emergencies. If a serious problem occurs with your flooring, just call us and we will connect you to a flooring company from your area. The chances are that they will be able to come to your place and help you right away. Don’t hesitate to call us if the floor has buckled or some of the tiles/planks got damaged. The companies we work with can solve any kind of flooring-related problem. The best thing is that you will not get ripped off by using their services. It’s because their goal is to help you, not profit from your problems. How to Obtain an Estimate? What makes Prosco really stand out is that all of the companies we do business with are 100% legit, honest, and very user-friendly. They have no intention of getting rich by overcharging their services. Instead, all of them prefer doing business fair and square. They will give you a price estimate before doing the job. If you’re okay with it, they’ll get on the work and ask for the payment only once the work is finished and you’re satisfied with the job they’ve done. Of course, the best estimate they can give you is when they check out your flooring in person. However, if you want to know right away how a flooring job would cost you, just give a call to Prosco. Our agents have the knowledge to estimate the cost of any kind of flooring work, so they’ll be able to give you a rough estimate. It may not match the final cost exactly, but the experience has shown that the two usually don’t differ too much. Saving money on flooring services is actually not the main reason why people like doing business with Prosco. The number 1 reason why we’re popular is that the companies we recommend do a good job every time. This is because Prosco works only with the very best companies. In order to get on Prosco’s list, a company needs to be great at their work, but also honest and affordable. There aren’t many companies that fit the description, meaning that the ones we work with are pure gold. We’re really proud to be able to find amazing flooring companies from literally every part of the United States. What this means is that no matter where you might be located, we will be able to connect you with a superb company who will be able to help you. If you need a flooring job to be done, but you don’t want to waste too much cash, the solution is to call Prosco. We will connect you with great companies that provide great flooring services at great rates!